A group of almond growers has been fighting for three years to keep their almonds from being adulterated against their will. Now their plea will finally be heard in federal court. 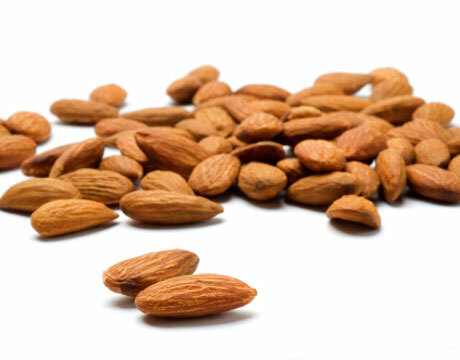 From 2001 to 2004, there was a string of salmonella outbreaks in California that were linked to almonds. In response, the Almond Board of California made a deal with the US Department of Agriculture. The new rule created deceptive labeling. Almonds that have undergone chemical treatments or heating for pasteurization are still labeled “raw.” Consumers who purchase “raw” almonds may well think that those almonds are natural and unprocessed. Moreover, there will be no label requirement to specify what kind of pasteurization treatment was used among the many approved methods or combination of options. In March of 2007, we instituted an Action Alert and joined with the Organic Consumers Association, the Cornucopia Institute, and other groups to seek changes to the regulations. Before the regulations went into effect, an exemption was given for small-scale growers, who were allowed to sell truly raw almonds, but only direct to the public from farm stands. It was still illegal for them to say that theirs were untreated, thus denying them the right to tell the truth and also any competitive advantage from doing so. Since the new requirement took effect, a group of raw and organic almond farmers continued the fight. Last Tuesday, a federal appeals court ruled that their challenge can proceed. “At long last the farmers who have been injured by this rule will have the opportunity to stand in court and state why this poorly thought out regulation should be thrown out,” said Will Fantle, research director at the Cornucopia Institute, a Wisconsin-based sustainable agriculture advocacy group coordinating the legal strategy for the farmers’ lawsuit. This is not the first time ANH-USA has battled over nuts. In April we issued an Action Alert over FDA’s censorship of the scientific evidence supporting health claims for walnuts. The FDA had sent a Warning Letter to a nut processor and distributor because the company dared to list some of the health benefits of walnuts on its website. The FDA said that the walnuts were being “promoted [as]drugs because these products are intended for use in the prevention, mitigation, and treatment of disease.” In other words, if you say that a food is healthy and may help protect against heart disease, or ease arthritis or inflammation, your words have magically changed that food into a drug, and that’s illegal! The Free Speech About Science Act (HR 4913), which we strongly support to put a stop to FDA censorship ( and ultimately USDA censorship as well) is currently in committee. JAMA Reports that Vitamin B6 May Reduce Lung Cancer. Will the FDA Turn Natural B6 into a Drug?